Pi bèl foto sou aktyalite a nan lemond. 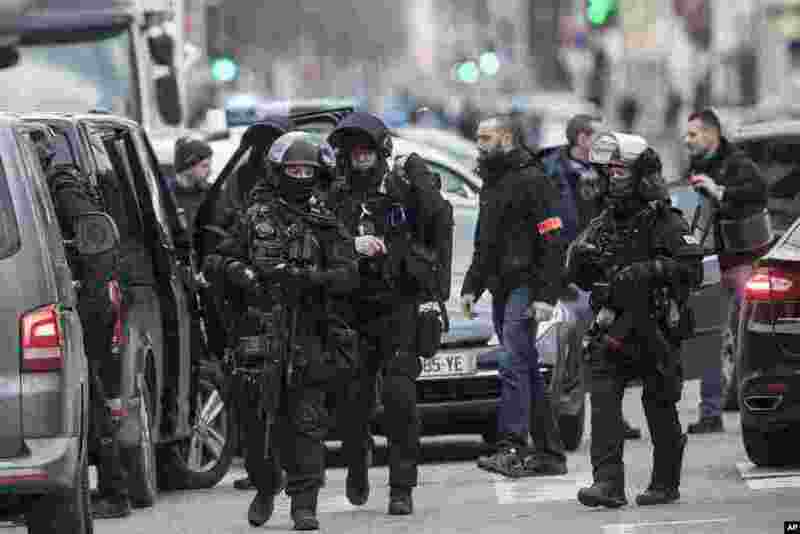 1 French police forces take position in the Neudorf district of Strasbourg, France. Security forces were trying to catch the suspected Strasbourg gunman dead or alive as the city was still in mourning with candles lit and flowers left at the site of Tuesday's attack near the Christmas market. 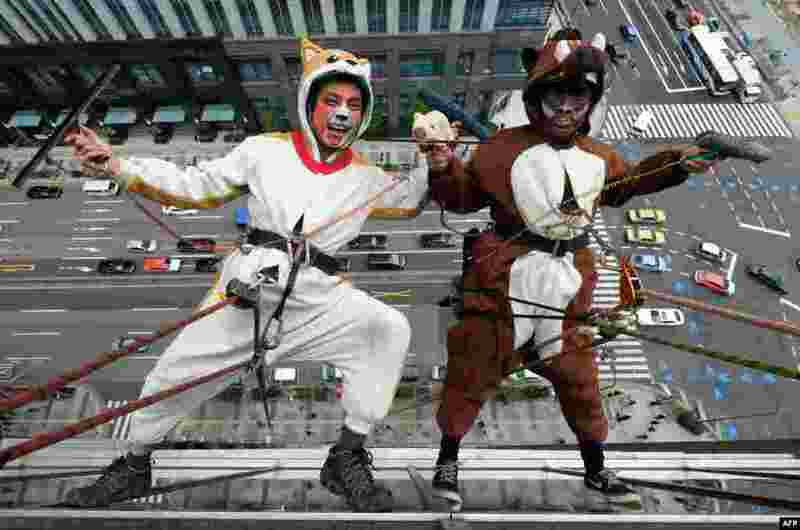 2 Workers clad in dog (left) and wild boar costumes, respectively, to represent the outgoing year of the dog and incoming year of the wild boar, clean windows on the side of a hotel in Tokyo, Japan. 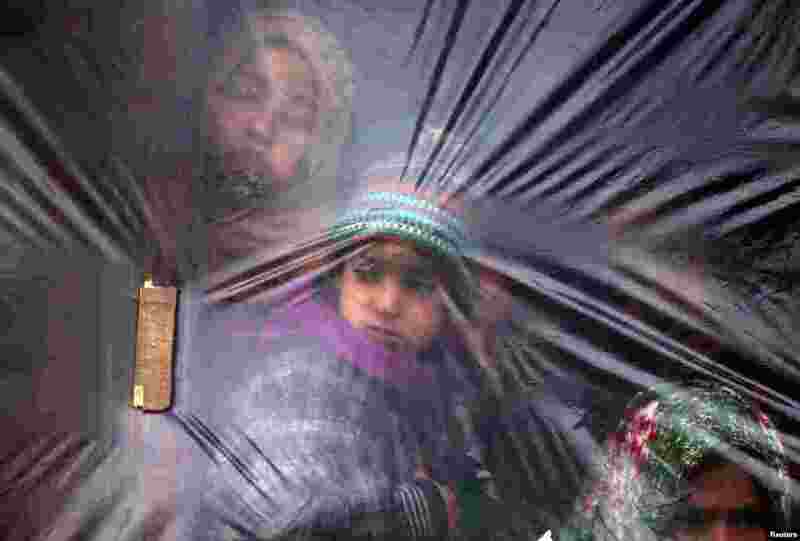 3 Children look out from a window, covered with a plastic sheet to protect from the cold, on a winter day in a village of south Kashmir's Pulwama district, India. 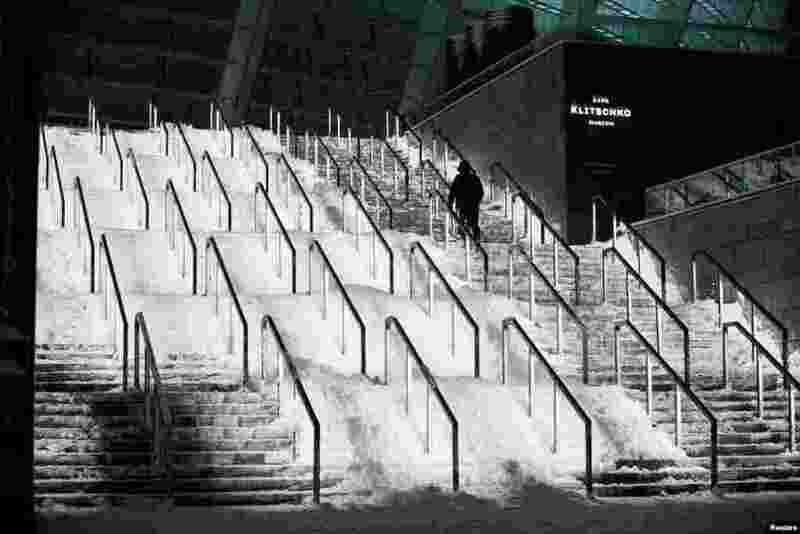 4 Steps are covered in snow outside the NSC Olimpiyskiy Stadium, Kyiv, Ukraine, Dec. 12, 2018.